Coming this Spring, Kushies will take environmentally friendly fashion to new heights with their fun and playful It’s My Planet 2 organic layette. 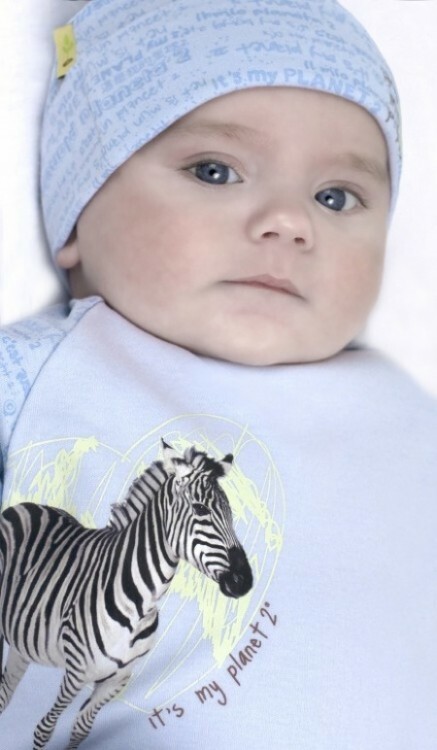 Made from 100 percent Certified Organic Cotton Interlock, It’s My Planet 2 layette features oversized graphics of the planet’s most beloved animals including tigers, elephants, zebras and rhinos. Each piece in the collection displays a fantastic multi-lingual print. A palette of soft colors is offered including pink, natural and blue. Layette items in the collection include bodysuits, long johns, sleepers, unionsuits, footed pants, gowns, hat, reversible bibs and blankets. Available in sizes preemie to 18 months. Items in the collection have a recommended retail range of $7-$22.